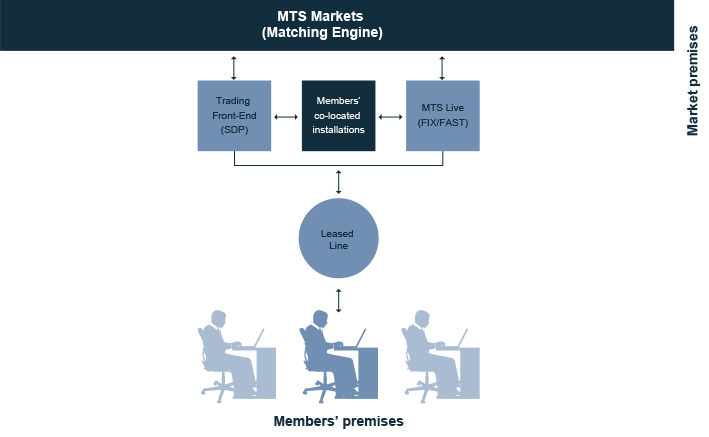 The MTS Co-Location Service - the ultimate option in terms of low-latency connectivity - allows customers, including market participants, market data users and authorised Network Service Providers (NSP), to host their servers within the primary data centre of MTS (provided by SIA), thus putting them as close as possible to trading and market data systems. MTS invests significantly in technology development to support the diverse needs of fixed income market participants. It is our goal to provide a best-in-class platform to facilitate the increasing levels of activity and trading volumes for the electronic fixed income market.